The "Luxo Ball" (or as it's also known by, the "Pixar Ball" or the "Toy Story Ball") debuted in Pixar's 1986 short film Luxo Jr. (directed by John Lasseter) and has since become an instantly recognizable icon for the studio. After being prominent in the original Toy Story, it has also made brief cameo appearances in most of Pixar's feature films (and even some short films) since. 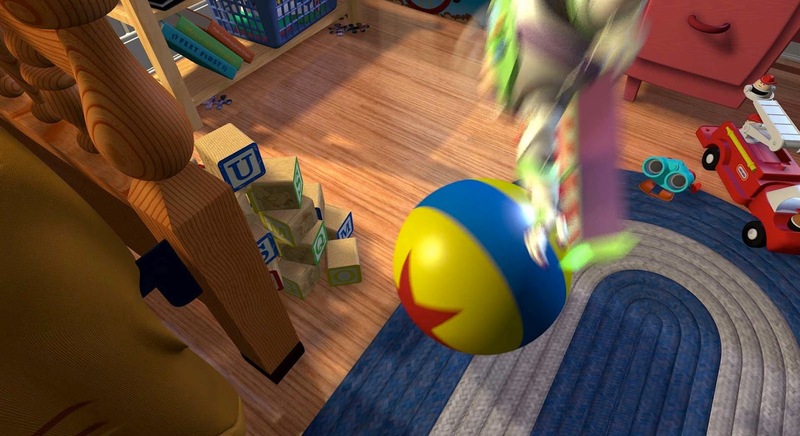 At this point, fans of Disney·Pixar expect to find this hidden "Easter Egg" with each new release and have fun trying to spot it (for a full list of where you can find the Luxo ball in each film, check out this definitive list HERE). As a kid, I remember wanting a Luxo ball of my own for the longest time and hoping that one would be made. Well, in summer 2010 I got my wish when the Disney Store released their full sized version of the ball (see post HERE)! Though it didn't have the exact texture or colors as the ball in the films (it felt more like a kickball), it was close enough for me. I was thrilled! Now flash forward to this past summer. 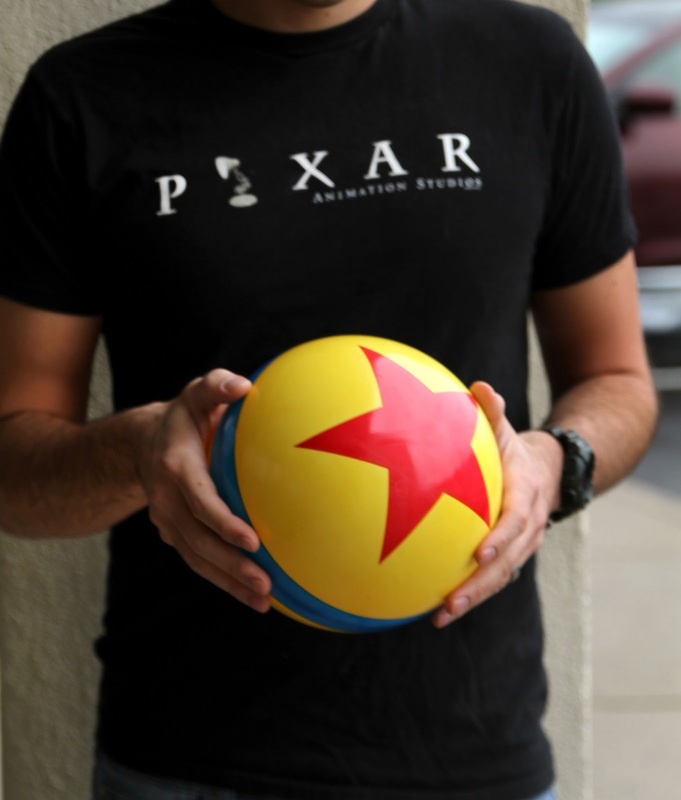 For the last couple years, I had known about another version of the ball sold exclusively at the Pixar Studio Store (not open to the public) in Emeryville, CA. Thanks to my good friends Pixar Post (yet again), I was finally able to get one (see post HERE)! However, this one ended up being quite a bit smaller than the Disney Store version (measuring only about 18" in diameter). 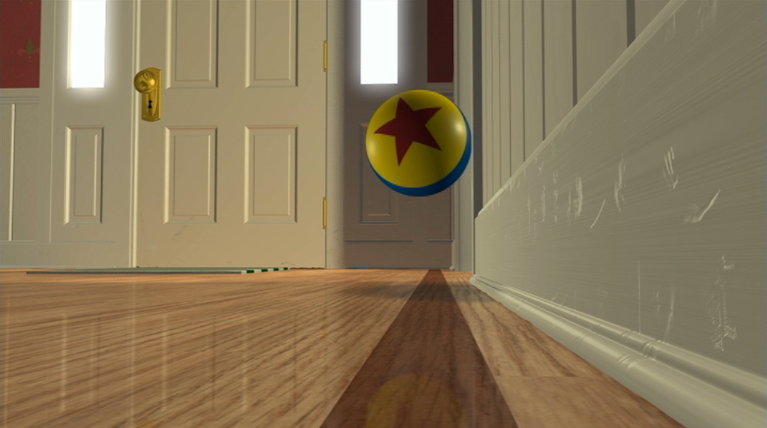 Though it had that smoother, more movie accurate texture I was looking for (a bit matte though; didn't have much of that signature shine), the small size kept it from being the definitive Toy Story version for me (it works fine though for a Luxo Jr. prop, since the ball is smaller in that short film). Although I was excited to have not one, but two Pixar balls at this point, I still continued my hunt for the best one of them all. Ultimately, I was looking for one close to the same size, colors and texture as the one seen in Toy Story (screen shots above). Well, I'm happy to say that my search is finally over! At the Anaheim, CA D23 Expo is past August, Pixar presented a brand new version of the ball; bigger and shinier than the previous Studio Store one! It was exactly what I had been looking for. The catch? It was only given out (yes, for free) at random during the three days of the convention (near the Pixar booth). Only a lucky few (relative to how many people were there) actually got one. You really just had to be in the right place at the right time! Now, it's also available to purchase at the Pixar Studio Store as well. 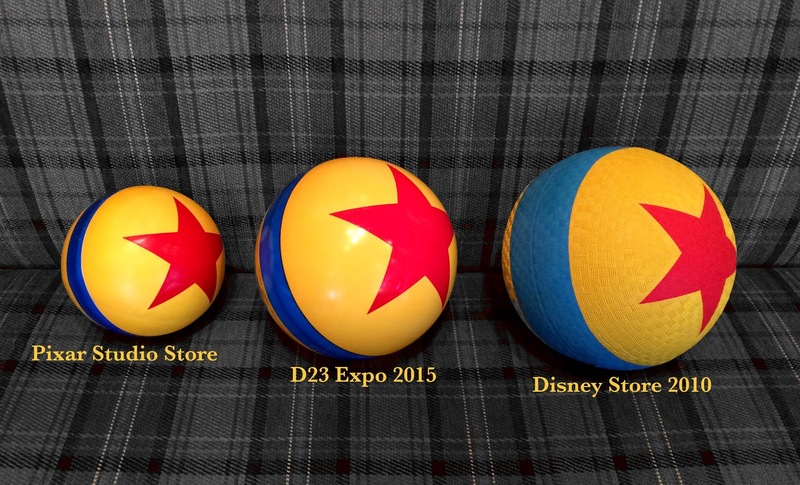 To sum things up, there are roughly three versions of the Pixar ball out there (each, unfortunately, as hard to find as the next). Here's a guide to help you decide which version is good for you! All together now! I took the picture below to give you a nice size comparison...hope this helps! If you're interested, be sure to visit this direct link to check out current eBay listings. UPDATE 1/09/17—Added a MINI version of the ball to my collection! That makes the fourth version I own. Check out the full post HERE.